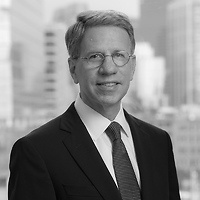 Robert A. Fishman, chair of the firm’s Land Use, Permitting and Development practice group, served as panel moderator at the Boston Foundation’s “Understanding Boston: 10 Years of Smart Growth Housing- A Progress Report on Chapter 40R Legislation” on May 30. The Boston Foundation, the Commonwealth Housing Task Force and NAIOP Massachusetts, The Commercial Real Estate Development Association, gathered for a discussion about Chapter 40R, the Smart Growth Zoning and Housing Production Act, and its continued potential to transform housing development across Massachusetts. Attendees heard from the Department of Housing and Community Development and developers who have worked with this program over the 10 years since 40R's creation and learned about specific opportunities that exist for development in cities and towns that have passed 40R districts and those that may be interested in creating such districts. Understanding Boston is a series of forums, educational events and research sponsored by the Boston Foundation to provide information and insight into issues affecting Boston, its neighborhoods and the region.